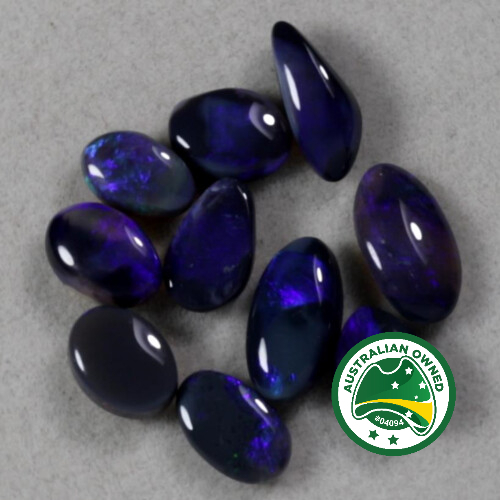 Set of twelve opals, all matched for colour, shape, and size. They are ready for the jeweller to make a beautiful necklace. 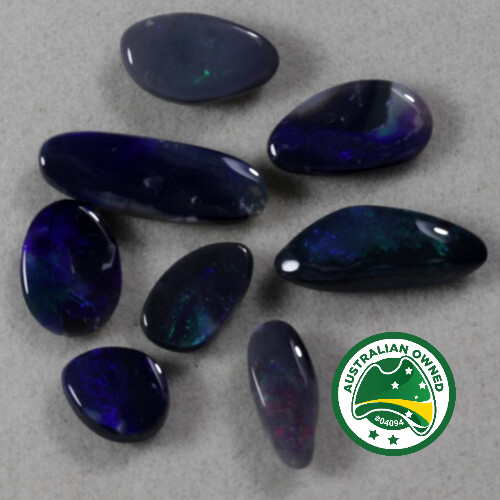 All stones are solid black opal from the Lightning Ridge district of NSW. 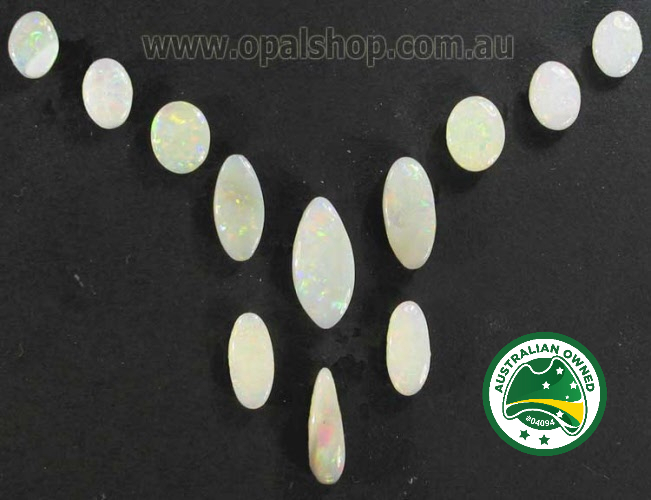 This set have a ‘light opal’ appearance with soft red, gold, blue, and pink flash.